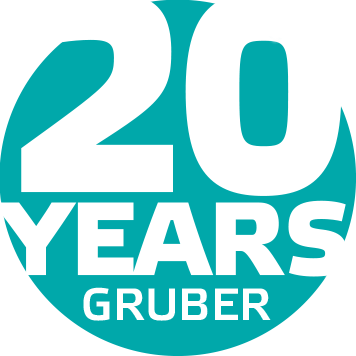 Company profile Gruber GmbH one of the leading suppliers and manufacturers for electronic printing and identification systems since 1987. For all tasks of industrial marking, we can deliver a standard but also a custom made solution. Through our own production, we are able to deliver complet printingmachines, where we are able to integrate different types of printer. We have our own construction department with a 3D-CAD software. A main production of our mechanical engineering, are feeding systems for cardboard boxes, transporting systems, round tables and many different handling systems, which are delivered worldwide together with our printingsystems to our satisfied customers. Appropriate our philisophie, we produce and sell only printingsystems wich are free programmable, very flexible and userfriendly.